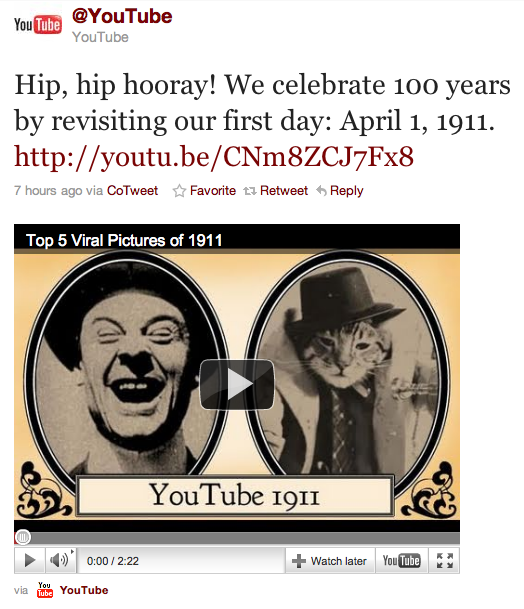 Before going to bed I noticed YouTube tweeted a video commemorating their 100th year. It’s quite amazing how far they have come (and how quickly). However, it seems as though people, 100 years ago, had the same humour as people in 2011. I guess some things never change.